So, it's winter, and it's cold outside. We all know that, right? Unless you are lucky enough to live somewhere warm and tropical, you are currently experiencing winter at its finest. Lucky for us in Buffalo, we can attend a luau this weekend, and we don't have to worry about wearing our snowsuits! 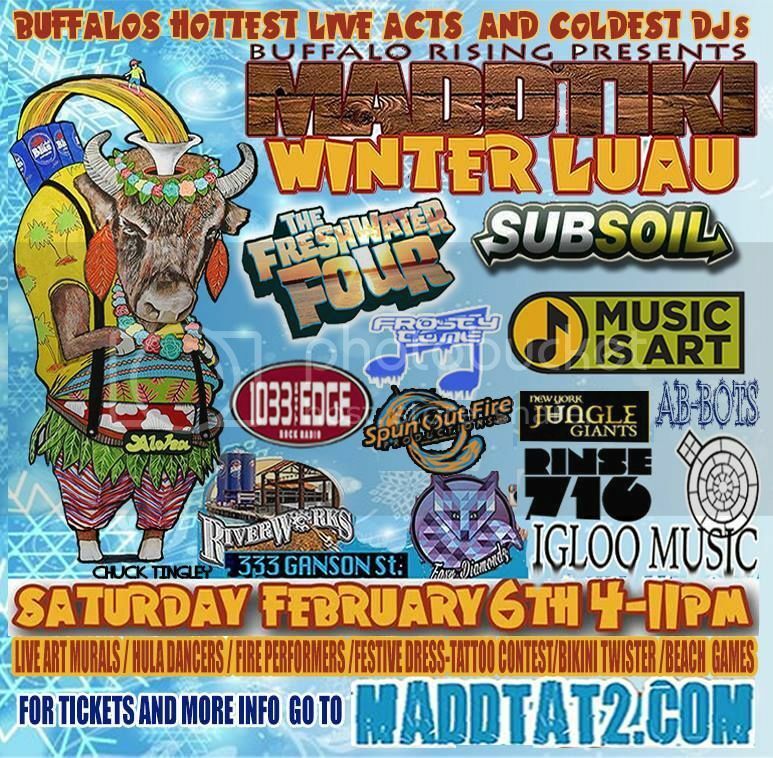 The Madd Tiki Winter Luau is taking place this Saturday, February 6th from 4-11pm at one of my new favorite places, Buffalo Riverworks. Tropical dress is encouraged, and you all know how I love to dress up...time to raid my closet! Tickets can be purchased HERE. Hope to see you all there!